Locks: Addison Reed, Blake Parker, Taylor Rogers, Trevor Hildenberger and Trevor May. Addison Reed: Last season, Addison Reed was arguably the best reliever on the market, and the Twins were able to get him on a two year deal. He had a disappointing first season with the team in a year that didn’t really go well for anyone. He is a strong bounce back candidate and hopefully can assert himself back into his 2016/17 form. If he does get back to from he could have a shot at being the closer but it’s more likely he will be a 7th/8th inning guy. Reed over his career has gone 125/157 (79.6%) but 0/4 in 2018 with save situations. Blake Parker: After spending the last year and a half with the Angels, Parker was signed by the Twins in early January. Parker had a successful 2017 and even got some time as a closer, going 14/17 on save opportunities. It is possible he will also get a look as the Twins closer because his stats are so similar to guys like May and Hildenberger. His main role with the Angels isn’t really available with the Twins, so I can see him becoming a matchup based closer with a guy like Taylor Rogers. Overall I really like the Parker signing and believe it will pay off. Taylor Rogers: Rogers was the most reliable pitcher down the stretch for the Twins, ranking 1st in ERA, 2nd in IP, 1st in WHIP, 1st in K/9 and 1st in K/BB. (rankings among qualified Twins relievers.) He set himself up as the best Twins reliever going into 2019 and has a legitimate shot at becoming the full time closer, because I believe he will for sure at least be splitting closer duties. If Rogers can repeat or even become better this year he could be looked at as an all star because I believe he is currently one of the more underrated relievers. He is also only 27 years old, throws left handed and has a reliable fastball, a lethal slider and a solid curveball. Trevor Hildenberger: Hildy (his last name is too long) is considered a lock, even though he had a pretty bad year in 2017. Truly, the reason he is a lock is not because he’s a sure bounce back candidate, it’s simply the Twins don’t have the depth to replace him. Of course there is always a chance he will have a better year and I believe he will because his 2017 was so good. If he can correct some of the things he may have been doing last year and get back to 2017 form, Hildy will be an above average pitcher. I believe this year he will be a 6th and 7th inning guy until he can get it all back together. He has many different arm angles he can throw from and I think if he can master that, he can reach that next step. Trevor May: Coming off of TJ surgery that caused him to miss all of 2017 and most of 2018, May had a very solid comeback that solidified his place in the Twins 2019 bullpen. I really enjoyed watching him, it just seemed like he was so much better than a lot of the hitters he faced. I mean, I just like watching him in general. I saw some of his fortnite play and he’s pretty solid there too. Ok back to baseball. May looked like he will be a guy who can come in a tense situation and strike a guy out when you need him to. (12.7 K/9) He will hopefully be used as an 8th inning right handed setup man before you see the lefty Rogers in a potentially lethal duo. Overall, Trevor May is really good at baseball and Fortnite. Spring competition / On the fringe: Matt Magill and Adalberto Mejia. Matt Magill: The 29 year old was one of the best relievers on the Twins last year, just as everyone predicted. (That is sarcasm.) In a year of injuries and underperforming by the Twins, Magill got a chance to shine and did pretty well. The reason I don’t have him as a lock is because his stats don’t reflect his success somehow. Among everyone who pitched for Minnesota last year, Magill ranked 20th in WHIP, 14th in K/9, 22nd in BB/9 but still 3rd among relievers for innings pitched. It’s weird because when he pitched he seemed to do alright. Those stats for me don’t make me too high on Magill for 2019, but if he can improve those stats and maintain the success, then his ceiling is pretty high. Adalberto Mejia: For Mejia, I’m only putting him on the opening day roster because I think the twins will need a long reliever/opener. Mejia would fit that role perfectly according to the stats. Facing the order for the first time, Mejia gives up only a .154 BAA, while the second and third time are about .300. If the twins are going to continue with the opener strategy, I think Mejia is one of the main guys used in it. He is only 25 years old and he throws left handed. His main struggles have been due to his control and if he can get that improved he will become a solid number three or four starter in a rotation. This isn’t a group that jumps out at you as a current playoff bullpen, although there is certainly a lot of upside. I strongly believe the Twins will have to sign at least one more reliever. (Brad Brach, Adam Warren, Nick Vincent, Bud Norris.) to replace the questions of guys like Magill and Mejia. If the Twins can add one more pitcher I think the bullpen is set up to win a lot of games. 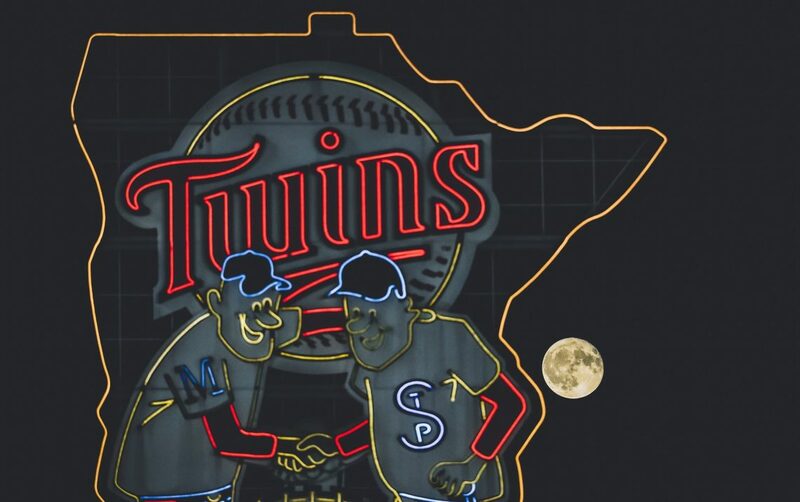 UPDATED 2/2/19: If the Twins get star closer Craig Kimbrel, I believe it should push out Matt Magill because I do t think Matt Magill will have a strong season. It would be a monster upgrade and would give the Twins the best bullpen in the AL Central, top 5 in the AL. Thank you for reading my 10th position outlook of 2019 and be sure to go read my other articles and check back everyday. If you enjoyed please leave a like and share with your friends. If you have any feedback or other opinions feel free to let me know on my Twitter (@EverydayTwins) or my email (contact page).